Because the number 7 is seen as lucky, it’s been featured on Poker machines ever since they were invented. Now, Australian games developer Ainsworth has built a whole pokie around 7’s and added loads of other symbols related to gambling and casinos into the mix. Laid out over 5 reels, with symbols in 3 rows, there’s 100 paylines running across this game, which should in theory lead to lots of winning spins, with players getting a reward each time they line up 3, 4 or 5 matching symbols across a line running from the left side, on adjacent reels. Playable from 1.00, to a maximum of 75.00, all lines are active at all times, so unlike many other games, there’s no option to try it out with a micro-bet. Players can of course adjust their wagers to anywhere between these values, and also choose the Autoplay option which sets the reels spinning for up to 100 times without needing any further input, although they will stop if pre-set win or loss levels are reached. There’s what looks like a bright star shining behind the reels, which is abstract enough to look nice, without being too much of a distraction to what happens on them. All the symbols are related to the casino theme, and for once, the playing card 9, 10, J, Q, K and A are not just there to pad out the number of symbols as they actually look like they belong there. These are still the lower value icons however, with the 9 being worth a prize of 2x the line bet when just 2 stop on a line, while 3, 4 or 5 return wins of 5x, 10x or 100x to the player. The 10 symbol is worth the same, apart from players needing 3 or more to get a win, while the rest of the cards pay 5x, 50x or 100x. Other symbols in order of value, are the Poker chips, dice, pack of cards, Dollar bills, and most valuable of all standard icons are the 777, which are not so much Stormin, as on fire. These still look quite effective and will pay out 40x, 100x or 750x the amount staked on a line when 3, 4 or 5 stop across the reels. Everyone likes to see diamonds and $’s, so Stormin 7’s has made these the bonus symbols, with the $ being wild and the diamond a scatter. By substituting for other symbols, the wild can help complete winning combinations when it lands on the middle 3 reels, while it can also extend lines of 3 symbols into higher value lines of 4. The scatter will reward players with 5x their total stake per spin when 3 land in any positions at once, and should 4 appear, the win is 10x, with the maximum of 5 scatters being worth a prize of 100x. It will then launch 10 free spins, and these are the real highlights of Stormin 7’s, as there are a couple of extra features in play throughout this round which can lead to some huge payouts. 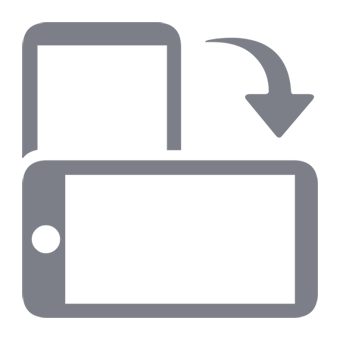 The $ becomes a scatter symbol, replacing the diamond during the free games, but still retains the ability to substitute for others, plus the Stormin 7 symbol becomes a second wild, so players stand a better chance of landing those winning lines. If the Stormin 7 appears in any 2 or more positions at once, the reels that it’s on will spin again in a free respin, and to complicate matters a little, some new symbols can turn up during the single extra spin. Reel 2 can see a Stormin x2 symbol appear, while reel 4 can see the Storming x3 symbol land on it, and these are extra wilds that multiply any lines that they complete by 2 or 3 times respectively. If they both work together to complete a line, they are multiplied together for a win of 6x the base value. 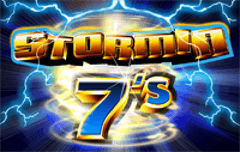 For some reason, there aren’t that many pokies actually themed around casinos, but by covering the topic with Stormin 7’s, Ainsworth have introduced a high-quality game to the online and off-line gambling market. While the standard gameplay is relatively straightforward and shouldn’t hold any surprises, it’s the free spins round that really makes this pokie stand out, particularly when the respins are triggered. Not only do these extend the number of extra games to a potential 20, the multipliers that are in play during these can make any spin into a big winner. If there’s a downside to this game, it’s in the slightly reduce values of the standard symbols during the free spins, but overall this shouldn’t have too much of a negative effect.